Getting out of the shower is painful enough when it’s cold outside. There’s nothing worse than applying an ice cold towel to your bare skin, losing what little warmth you’ve managed to store. With the days getting cold and dark here in the Northern Hemisphere and weather predictions calling for 70MPH winds, there’s no reason to make that exit any more painful than necessary. Heated floors have been trending in home design in recent years. Now you can take that trend to its next logical step with a heated towel rail. 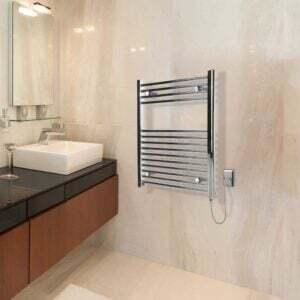 If you want to experience spa-level luxuriousness in the comfort of your own home, here are some tips on how to select the best heated towel rail! Heated towel rails used to be reserved for the very well-to-do. That’s no longer the case, as there are a ton of heated towel rails on the market, ranging from electrical towel rails to hydronic models. That’s one of the best things about being alive in modern times. High-end, high-tech home accessories have become accessible to everybody! Heated towel rails aren’t only useful in the bathroom, either. You can install a heated towel rack in the kitchen, to keep your dish towels toasty and dry. Or you could place one in the foyer, for drying your outerwear when you come in from the rain, sleet, or snow. How you’ll be using your heated towel rack will play a significant part in the model you select. Generally speaking, there are three main types of heated towel rails, divided by the way they are heated. Most homes in the UK have central heating. This makes the central heating style of towel rail a popular choice, as it’s one of the easiest and least-expensive to install. 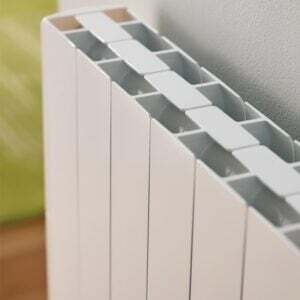 A central heating towel rail operates similarly to a radiator. It’s not as customisable as other types of heated towel rails, however. Electric towel rails are some of the most versatile on the market. They’re thin and lightweight and can be installed absolutely anywhere. They’re a great choice for flats or high-rise buildings, where you might have trouble getting the right amount of pressure from central heating. Even if you have central heating, an electric towel rail is an excellent choice. Central heating towel rails can require adding on to the HVAC of your house or flat. They can also require additional building permissions. Finally, electric towel rails are beautiful to look at as well. They’re sleek, slim, and beautiful. They’ll fit in with almost any design aesthetic, from shabby chic to boho to modern minimalism. The last of the popular heated towel rails we’ll be looking at offer the best of both worlds. 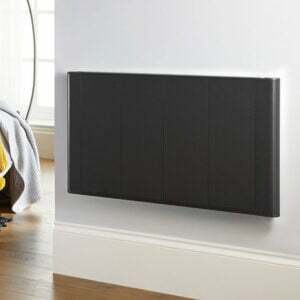 Dual fuel towel rails need to be connected to central heating but they’re also equipped with an electric heating element. This way, you can still enjoy warm, fluffy towels even if your central heating is turned off for the year. You’ll also want to think about where you’ll want to place your towel rail for ease of use and convenience. You don’t want those cold morning dashes to be any longer than they need to be! If you’re doing an entire redesign or renovation, keep in mind it may be easier to paint or put down new tile before fitting the towel rail. It’s not the end of the world if you can’t, however. If you’re going to be using a central heating towel rail and you already have one fitted, measure the distance between the pipe fixtures. Use those measurements to order your new fixture! 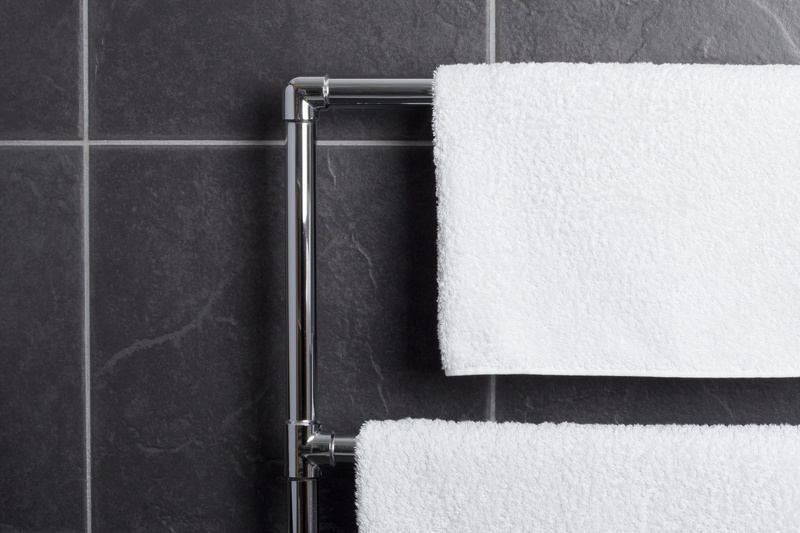 Where’s The Best Place To Hang A Heated Towel Rail? Thanks to today’s sleek, slim designs and the improved insulation in modern homes, you can put a towel rail virtually anywhere. It’s still the best practice to place your towel rail on the coldest wall of the room. This is usually the exterior wall, or the one that’s facing the outside. Placing your heated towel rail on the chilly exterior wall will help the heat to radiate evenly throughout the room. This way, you can enjoy your space for as long as you like, no matter the season or how cold it is outside. Can A Heated Towel Rail Heat A Room? 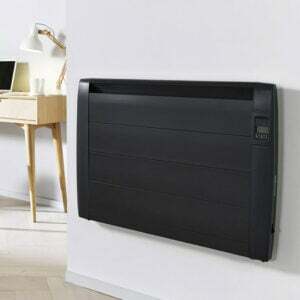 As we’ve already mentioned, a heated towel rail is essentially an electric radiator. Check out this Contemporary Chrome Electric Towel Rail to see what we mean. Every fixture has its own specifications and requirements, however. So does every bathroom or whichever space you’ll be installing your towel rail. If your space is small enough, your towel rail could be powerful enough to heat the entire space. If it’s bigger, draftier, or has higher ceilings, however, maybe not so much. Are You Ready To Stay Warm? You’re in luck! 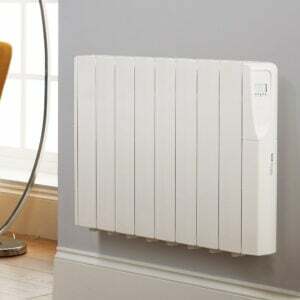 We offer electric heating solutions for every space and budget. Whether you’re looking for a heated towel rail for your loo or a best-selling electric radiator, we’ve got something to help your space radiate warmth!